Was only a few laps of safety car, but it did rob us of a great finish. BMW showing why team orders are vital. Both cars running 1-2 for most of the race only to have the 2 cars screw up. 1 ending in the wall, 1 dropping to 4th. At one point bmws were more than 3s ahead of the pack, then suddenly their lead evaporated and the guy in 2nd place got anxious to get ahead. I wonder how the pack got so close to them in first place with all the battles going on? not sure on how the tech works. but the attack mode doesn't give you more battery just allows more to be used at once. so it will drain batterys more. when in attack mode drivers can still avoid using all the power. The BMW's built their lead as the guys behind were squabbling over 3rd. They then used attack mode to build the gap. The gap was then shut when the cars behind armed the attack mode. 25kW extra for 4 minutes was more than enough to close the 3s lead. Toto was there because HWA becomes a Mercedes factory team next year. He was in Ad Diriyah as well. Not much Wehrlein could do about the contact as he was rear ended by Di Grassi, he did do a fantastic quali lap though... regardless his Mercedes contract is now terminated. Paffett and Vandoorne didn't cover themselves in glory when they're fighting over seats for next year, colliding at the first corner. Verstappen's punishment only looks like that if you ignore that the reason he was there was to observe the how the stewards operate and make decisions during a race. An FIA winter series is the perfect opportunity as it's the F1 off season. 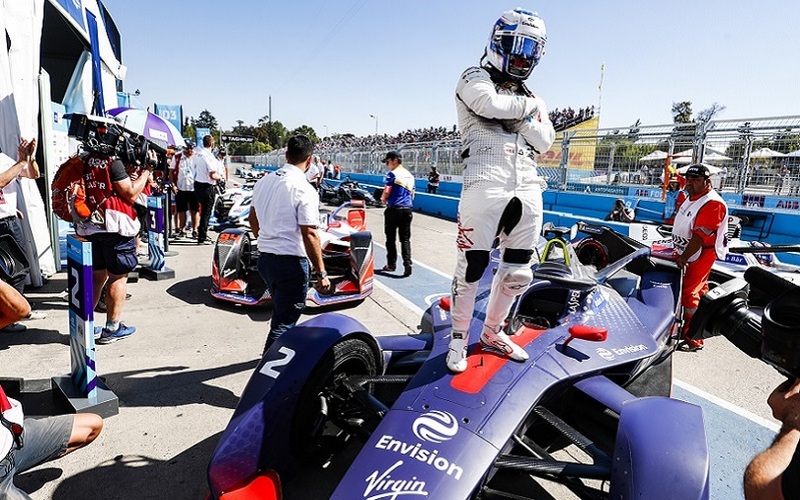 I guess you didn't actually watch the race then... there was more action in this one weekend of Formula E than half a season of F1. I had not realised that HWA is to become a Mercedes. I thought all the attention would have some significance. Vandoorne showing perfectly why he has been ditched from F1 in both races. To be fair, he was doing very well in qualifying until the point his car broke down. His action at the start, though, yeah... . A little bit too desperate.